Everybody is talking about Alia Bhatt and Ranbir Kapoor’s relationship, ever since they made an appearance together at Sonam K Ahuja’s wedding reception. 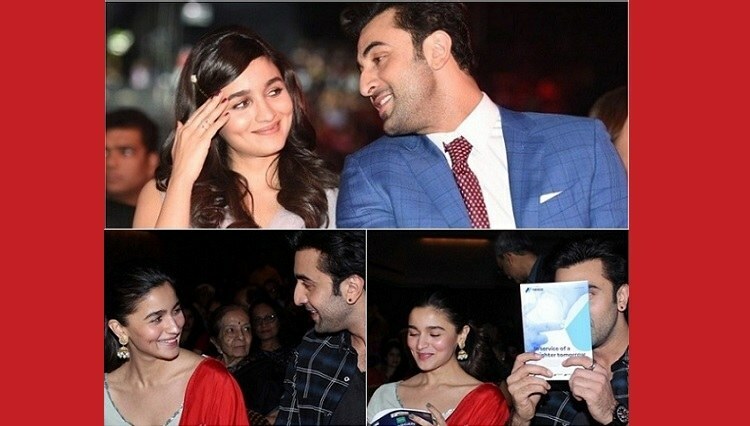 While Alia hasn’t said anything about their relationship, Ranbir did admit that he was dating Alia (and it was very new). Whenever Alia (dated Sidharth Malhotra earlier) has been quizzed about Ranbir Kapoor (was in a relationship with Deepika Padukone earlier), she neither accepted nor denied the rumours. While everyone have their opinion, Alia’s step-sister Pooja Bhatt had the perfect answer when asked about Alia and Ranbir’s relationship.answer. Like I took rumours about me. What was true didn’t bother me. What was not true didn’t bother me. And she is a Bhatt after all, and a much-improved Bhatt in that sense. I think that this is her time in the sun. We should just let that young girl be and enjoy her life because I think she is doing her job of entertaining India and the world really well. So, what she does or does not do in her personal life is really her problem. How she chooses to lead her life is her problem. My father and me have a different approach to it. She has a different approach to it. So, I think we should just let people be who they are. Now that Ranbir has admitted to being in a relationship, we can ignore the few reports that had surfaced earlier which suggested that this whole link-up think was the mastermind of Alia’s mentor Karan Johar, who was trying to build up excitement for their upcoming film. And what does Deepika Padukone has to say about their relationship? Well, it seems she already knows about it, although she has not made any statement in public. And what about Katrina Kaif (Ranbir Kapoor’s ex-girlfriend)? Well, even she hasn’t said anything publicly yet! But an insider says Katrina is miffed with Alia. Katrina and Ranbir had a tumultuous relationship; they even started living together separately, against the advice of their friends and family. However, their breakup was acrimonious; Ranbir left the house leaving Katrina behind (who lived there until the rent agreement expired ). I think your BFF's Ex-BF is always off limits. FO you both. Katrina and Alia are extremely close friends, and it seems Katrina had shared some secrets with Alia, and those topics actually become an ice-breaker between the two — Ranbir and Alia. This has really upset Katrina, who has now gone back to the Salman Khan camp. It seems, Katrina Kaif and Alia Bhatt, who were besties for the longest time, may not remain so after all. thanks to Ranbir Kapoor for that. Maybe Katrina should take a leaf out of Deepika Padukone book. They Love Bollywood Films, Speak Hindi, Are Indians, Yet Are Called Chinese!